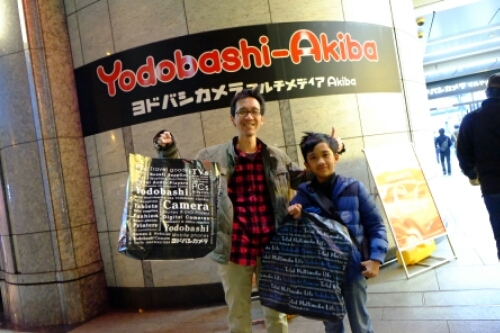 Yesterday we spent our day in Tokyo visiting two happiest place: Disneyland, “the happiest place in the world”, and Yodobashi-Akiba, “the happiest store for me and Rafif”. LOL. Disneyland first. Well, Disneyland is Disneyland. 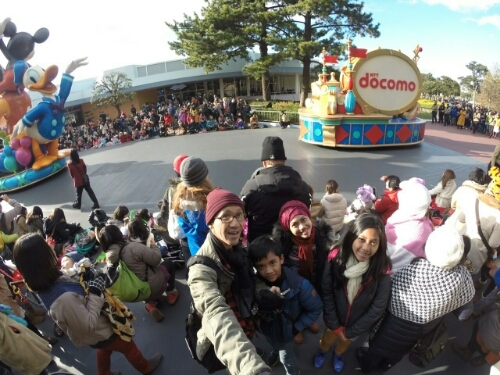 You feel happy right after you enter the park. The place, the theme song, the ambience, it is just nice. This is the third Disneyland I visited. 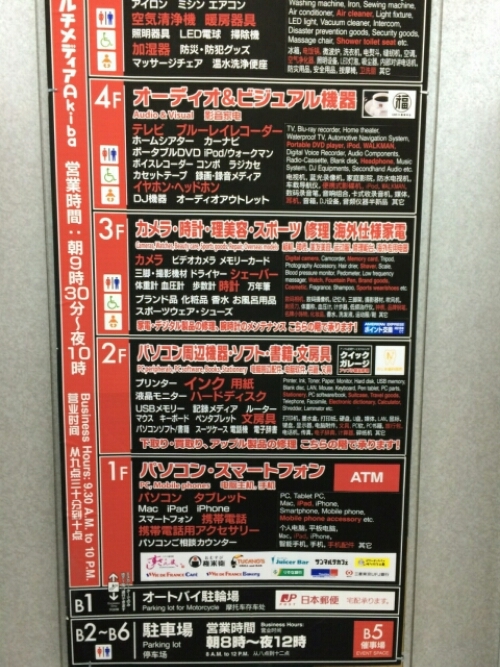 The first one was Los Angeles, second was Hong Kong, and here I am, in Tokyo. So we left Disneyland right after sunset, and took the train yo Akihabara. 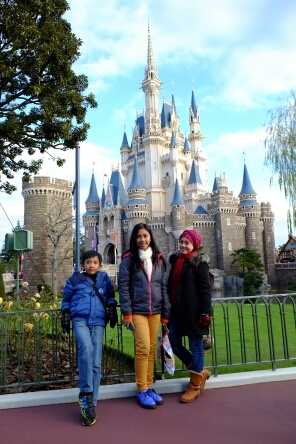 And this is the second happiest place we visited today, at least for me and Rafif. 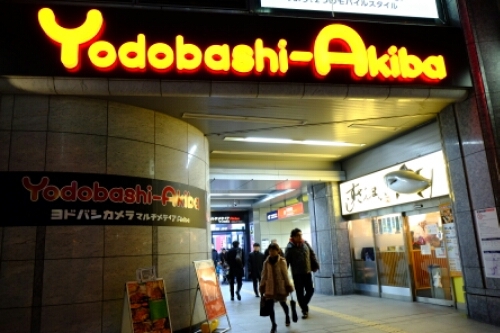 The place is called Yodibashi Akiba, a 9 level store, mainly sell gadgets, electronics and toys. The wealth and amount of stuff sold here is amazing. You can easily find one big section for one item only. 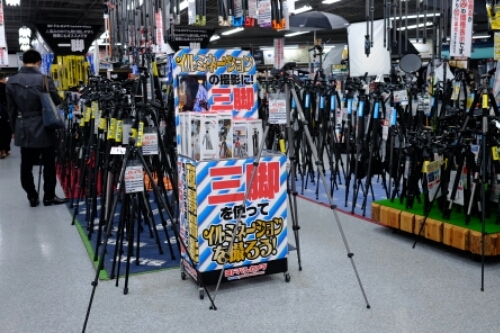 For example, when I look for tripod (which I lost mine today-but that’s different story), I found large section specifically for tripod, selling all range, from small, mini consumer tripod to heavy, bulky professional ones. You won’t have problem finding what you need here, but you may have difficulties in deciding which one to buy. 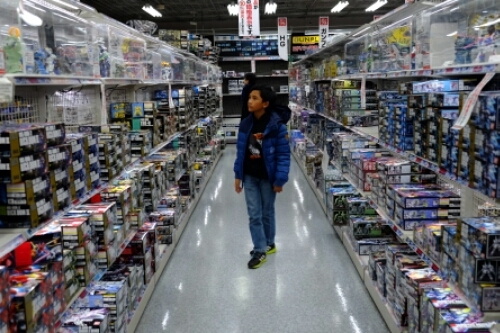 Which also happened to Rafif when he looked at the toy section in Level 6. The place is like museum. 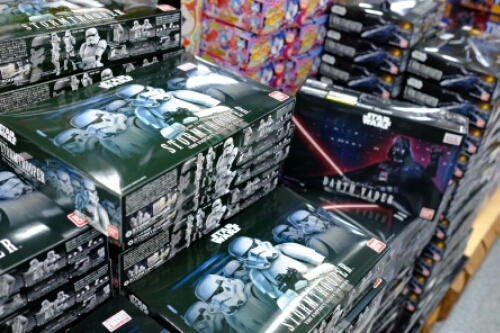 If you’re fan of Japanese toys like Rafif, there’s big chance you can find rare toys sold here. In case of Rafif, have saved most of his school daily allowance from his mom for this trip, he had hard time to decide which one to buy. Only after contemplating through dinner then he made his choice: a classic Kamen Rider figurine with a motorbike. Haha! Elok and Aya also were not bored waiting for us, as there was also large section for cosmetics and personal care, which according to Elok, she could find Japanese cosmetics with much cheaper price than in Jakarta. Same case with the tripod and toys I and Rafif bought. All in all, we went back to our hotel happily. For those who’s visiting Tokyo and would like yo do some shopping for consumer electronics and toys, I highly recommend this place. It’s also Tax Free shop, so you’ll get discounted price. A plus for Visa card owner: you get another 5% discount. So what’s stopping you then? Next Post Ride the Shinkansen! cool! happy for you bro..